Home Aspire Motorhome Entegra Coach is recalling its 2015 Aspire Motorhomes for Screws in the Awning Lateral Arm Brackets that may Fail. Entegra Coach is recalling its 2015 Aspire Motorhomes for Screws in the Awning Lateral Arm Brackets that may Fail. 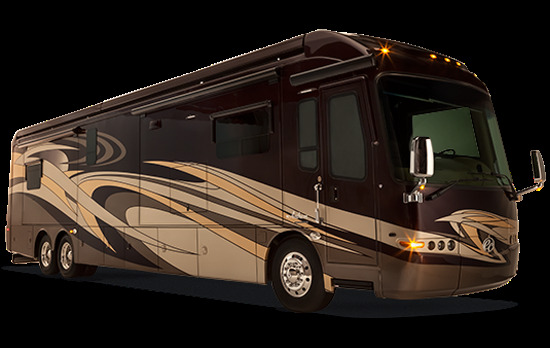 Entegra Coach (Entegra) is recalling certain model year 2015 Aspire motorhomes manufactured July 14, 2014, to October 29, 2014, and equipped with certain Latitude awnings manufactured by Carefree of Colorado. The affected awnings may have screws that attach the lateral arm brackets to the mounting brackets that were not manufactured to specification. The screws could fail, causing the supporting bracket to fail, and the awning to fall and potentially strike and injure a person beneath it. Entegra will notify owners, and dealers will remove and replace the defective screws, free of charge. The manufacturer has not yet provided a notification schedule. Owners may contact Entegra customer service at 1-800-945-4787.